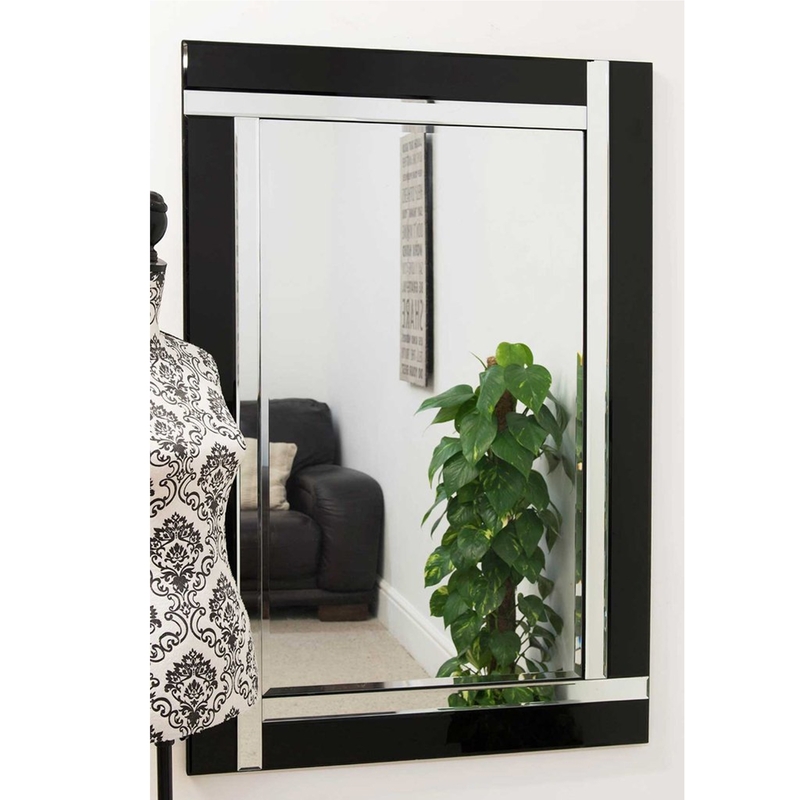 Create a contemporary feel to your living space with a light and space enhancing black Venetian mirror. The large, frameless, all glass design is suitable for the bathroom catering for your everyday grooming needs, and also the living room, bedroom, hall or landing. So brighten up any room in your wonderful home today with this delightful contemporary mirror.